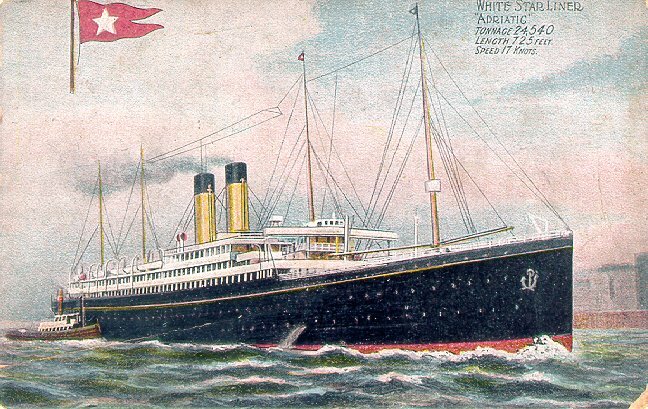 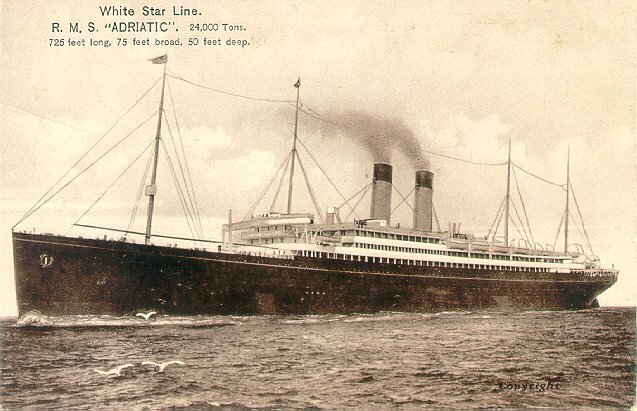 Adriatic was the last of White Star's turn-of-the-century "Big Four", and the only one of the four which was never the world's largest ship. 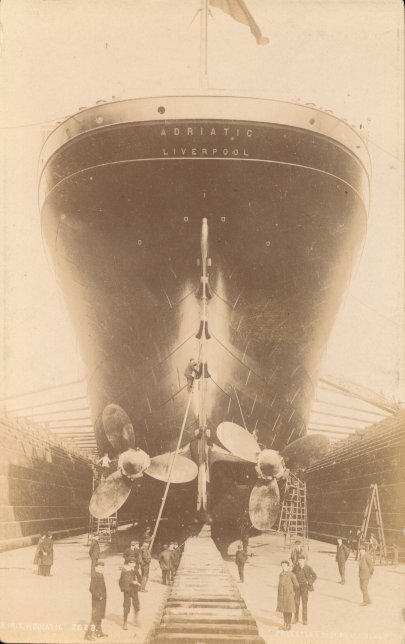 This ship, the second with her name, was built by Harland and Wolff, Belfast, and launched in 1906. 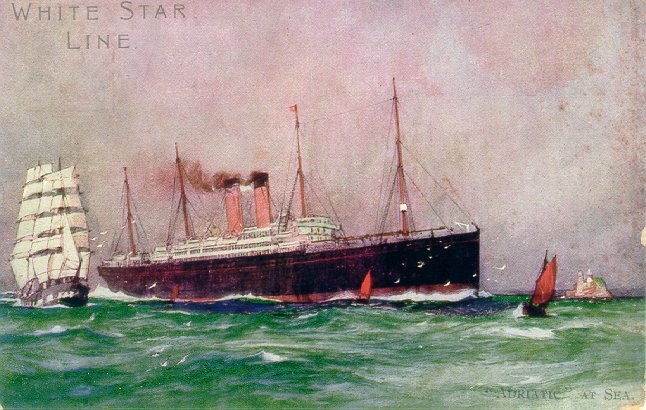 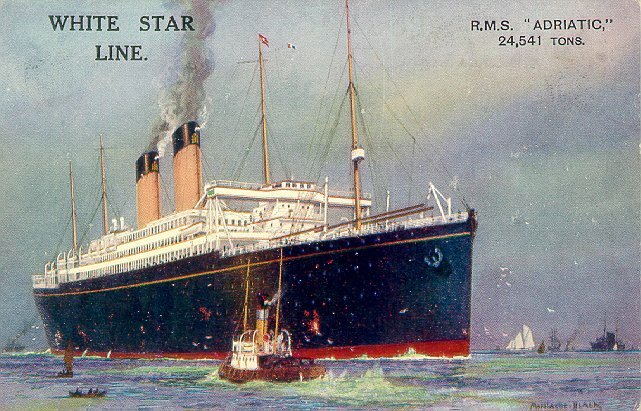 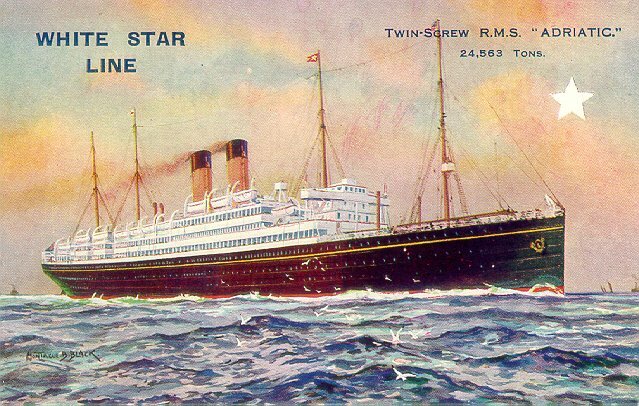 Adriatic made her maiden voyage from Liverpool to New York on 8 May 1907, but her return was to Southampton, as White Star moved its principal terminal there. 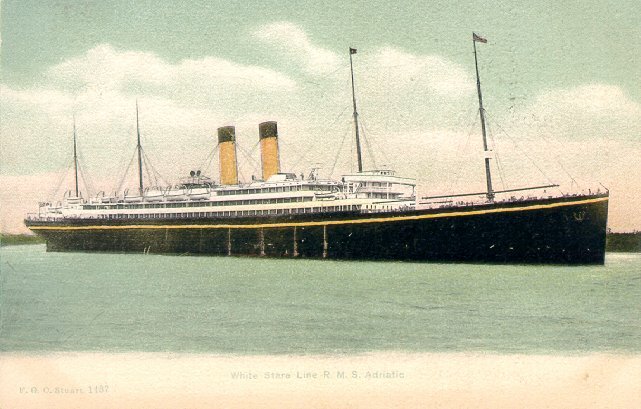 Adriatic made White Star's first Southampton departure on 5 June; she was joined by Teutonic, Majestic (I) and Oceanic (II) in providing a weekly Southampton-New York service. 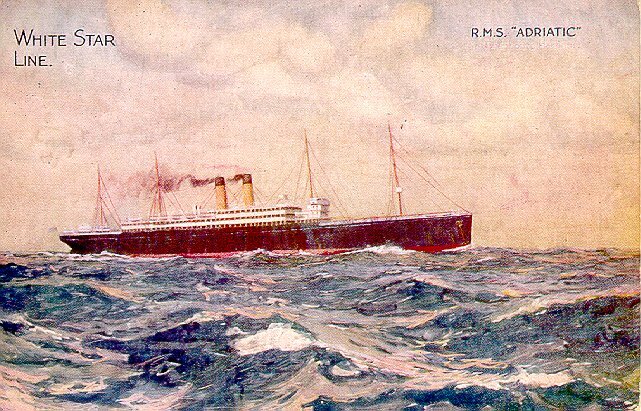 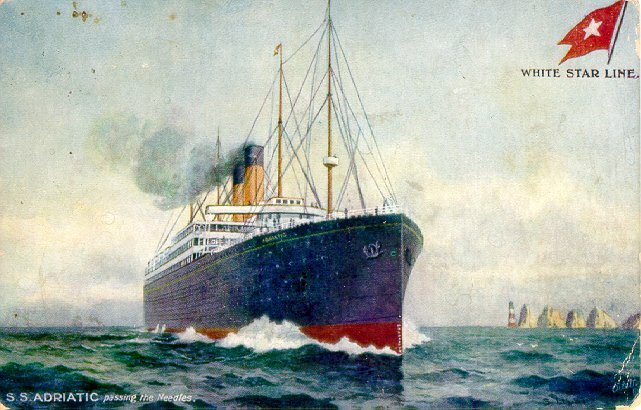 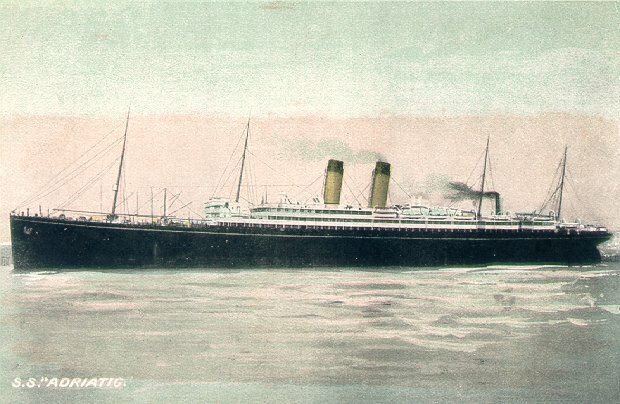 When Olympic came into service in 1911, Adriatic returned to the Liverpool service, and remained there until 1919. 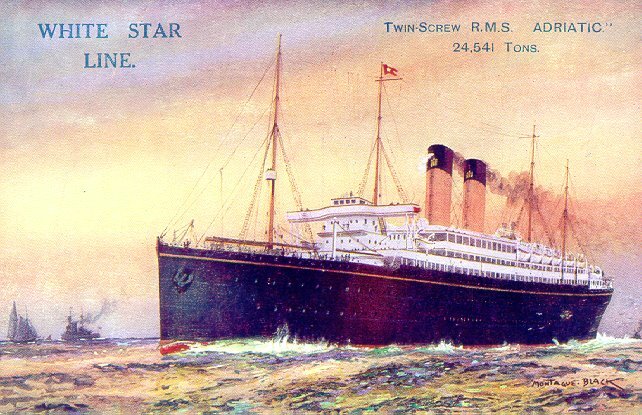 She then spent three more years at Southampton before returning to Liverpool in 1922. 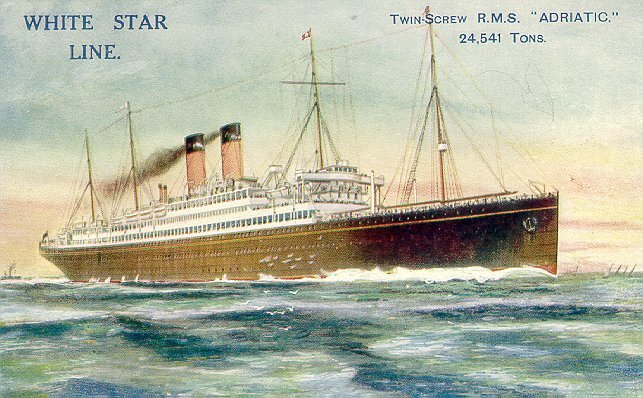 Used extensively for cruising from 1926 on, Adriatic was converted to cabin class in 1928 and made her last transatlantic sailing in February 1934. 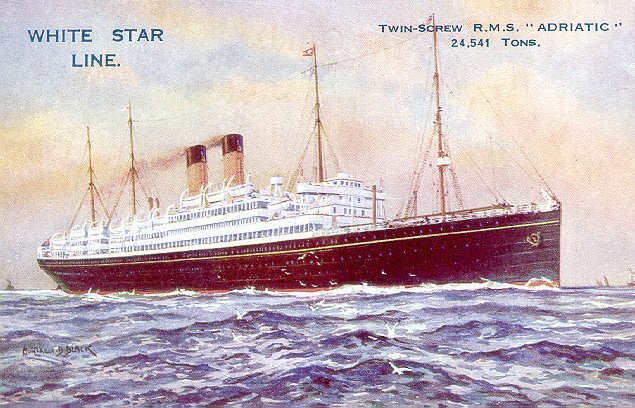 Although she was transferred to Cunard-White Star when the two lines merged in May 1934, she did not figure in their long term plans. 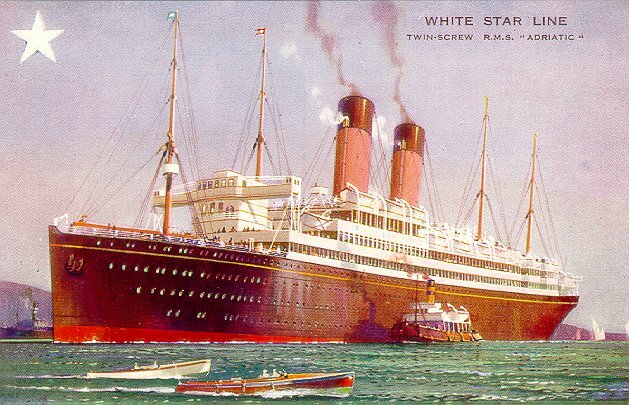 She was laid up after the summer cruise season in 1934 and was then sold for scrapping in Japan. 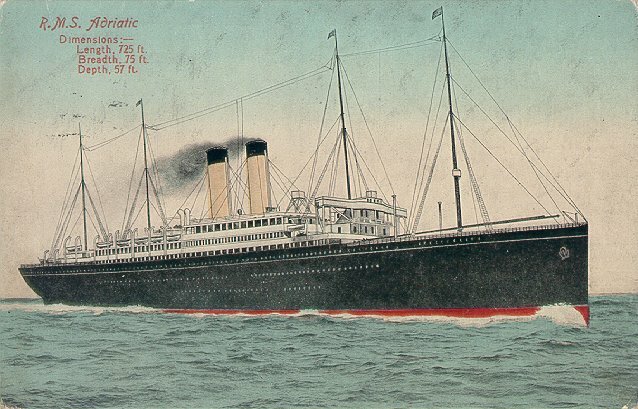 Adriatic arrived in Osaka in March 1935 for breaking-up.